DONNIE 'Ahas' Nietes seeks history as he fights for the last time as a world junior flyweight champion. The 32-year-old pride of Murcia, Negros Occidental stakes his World Boxing Organization (WBO) 108-lb. title belt against Mexican Carlos Velarde, seeking a win that will make him the longest reigning world Filipino champion of all time. The current record is being held by the late great Gabriel ‘Flash’ Elorde, who reigned as world junior lightweight champion for seven years and three months (1960-67). Nietes on the other hand, has reigned as world champion (minimumweight and junior flyweight) from 2007 until now, and is seeking to cap his reign with a victory over the No. 5 ranked Velarde in their November 15 title showdown at the Waterfront Cebu City Hotel. “Last fight ko ito sa 108 lbs. tapos aakyat na ako, para maiba naman,” said Nietes during a break in training camp during the weekend. Dennis Canete, vice-president of the famed ALA Promotions which handles Nietes, Milan Melindo, Genesis Servania, King Arthur Villanueva, Albert Pagara, Merlito Sabilla, AJ Banal, among others, said the reigning WBO champion will go up to flyweight by early next year. “Kung manalo siya kay Velarde, Donnie is assured to become a world champion until January 1, by which time he’ll already break the record of Flash Elorde. Then by March siguro, he’ll start campaigning in the flyweight division,” Canete said. Coming off a ninth-round stoppage of another Mexican in Moises Fuentes during their title rematch last May, Nietes said he isn't pressured to break the record of Elorde. “Wala namang pressure. Basta ang importante sa akin, lagi akong kundisyon pag lumaban,” said Nietes, who has a ring record of 33-1-4, with 19 KOs, said. And the champion is definitely not looking past Velarde, owner of a 26-3-1 record, including 14 KOs. “Typical na Mexicano, makamay. 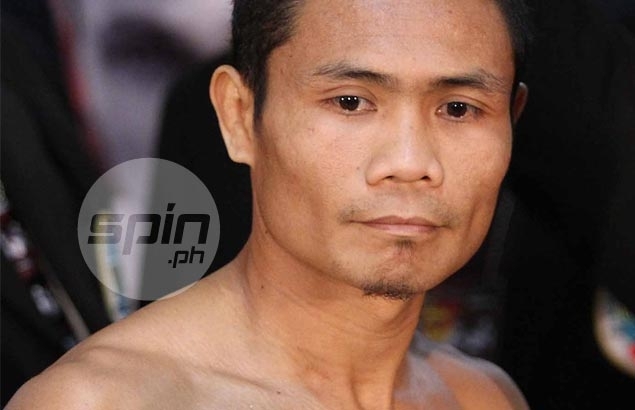 Marami kung sumuntok,” added Nietes, who has Rocky Fuentes for his main sparring partner. Fighting in the undercard is Melindo, who battles Saul Juarez also of Mexico in an International Boxing Federation (IBF) flyweight title eliminator. Melindo decided to go down in weight after the opportunity to challenge reigning IBF champion Javier Mendoza presented itself for the winner of the 12-round bout. “Biglang pumasok `yung opportunity na ito (title fight) kaya pumayag na rin kaming bumaba ng timbang,” said Canete. Albert Pagara meanwhile, makes a mandatory defense of his IBF Intercontinental jr. featherweight crown against Mexican Raul Hirales in the other featured main undercard.